Established in 1980, Best Diamond Ind. Co., Ltd. is a professional manufacturer which specializing in producing diamond and cbn tools. Besdia provides a variety of products including diamond mounted points, diamond files, cbn grinding wheel, ceramic fiber stones, ultrasonic lapping machine, air lapper, electroplated diamond cutters and more. Best Diamond maintains research and develops strength toward the development of better diamond and cbn tools. We design most suitable generic and customer tailored tools for mould/die lapping and polishing etc. Besides, we also maintain high product quality while keep prices competitive. And Besdia insists to provide the best sales service for our customers. Besdia has already become Taiwan’s important producer and supplier for grinding and lapping tools in year of 2000. From now on, we will keep our high quality productions and high level services for you. If you need more information about diamond and cbn tools, welcome to visit our website and feel free to contact Best Diamond. Chi Yeah Industrial Co., Ltd is one of the leading winch manufacturer in Taiwan. 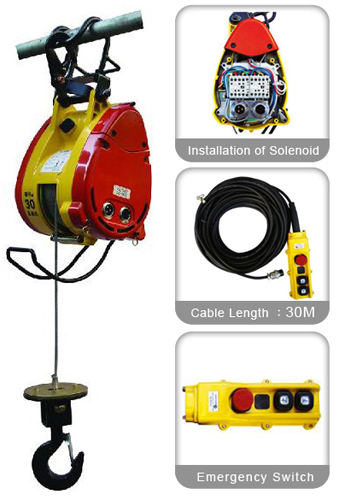 We provided good service on mini winch, mini chain hoist, ultralshort tyope electric chain hoists, electric winch, compact winch, mini winch and hoist accessory. We are strict to our quality of product standard in order to make customer have good right. Besides, we also provide excellent service to our customer. We guarantee we must make you satisfy with our product and service. If you would like to have more information regarding our winch manufacturer or you would like to make an inquiry, please do not hesitate to contact us. It’s a pleasure for us to assist your inquiry. We look forward to building a long-term business relationship with your esteemed company in the coming future.